Archos? ‘Who are they?’ you may ask, and you’d be perfectly in your right to, this technology company appear be making strides in various different markets from tablets to connected home technologies. Leading their charge on the smartphone market is the newly released Archos Oxygen 50, a good looking device that runs Android 4.2.2 Jelly Bean. Boasting some impressive performance statistics the Archos Oxygen’s angle is definitely focussed towards the ‘value for money’ segment which seems to be all the range in recent months. I think we will soon start to see devices come down in price as a result of the smaller manufacturers taking on the big boys, and credit to them. Not knowing what to expect when I opened the box, having never having had a real hands on with Archos products before, I was pleasantly surprised. I instantly drew visual comparisons from the Google Nexus 5 and I think you’ll agree with me, it has the same curved top and bottom, the Oxygen does have a little extra ‘lip’ on the top side of the device but the similarities are there nonetheless. I think the design of the Oxygen 50 is spot-on, one of my qualms with my Xperia Z is its block shaping and sharp edges, therefore the curved back on this device was most welcome. It slides easily in and out of your pocket and the soft backing on the device makes it a pleasure to hold. The Archos flagship has a front facing camera located in the top-right corner with a flash, which is something we don’t see very often, it also has dual-flash on the rear camera which is located centrally. The menu, back and options buttons are all capacitive on the bottom of the front of the device, they light up when in use. The speaker is located on the back of the device at the bottom left and delivers reasonable sound. Overall the Oxygen has a very solid build quality. The only area that I was slightly concerned about was the SIM card tray cover which comes out rather easily. This is located at the top of the device next to the 3.5mm headphone jack, which is in an ideal location. The on/off button is on the right edge of the phone, perfectly poised to let your thumb (if your right-handed) do the pressing with the volume rocker on the opposite side easily accessible with your index finger. Finally, the micro USB port is in the traditional place on the bottom of the device, which is where I feel it should be. All-in-all everything is where I personally feel it should be, I like the fact that Archos haven’t tried to ‘re-invent the wheel’ and have stuck to making a functional, clean-looking device that does the job and does it well. I must also add that everything from the buttons to the materials used have a feel of quality and as though its going to last. The Archos Oxygen 50 has a vibrant 5″ display and boasts an impressive 440 ppi, which is only 1 below my Xperia Z and therefore puts it amongst ‘premium’ competition. At 1080 x 1920 resolution this is a full HD display with 16 million colours for you to enjoy. I was impressed with how good the display was on this device, a sharp picture with great viewing angles and clear colours: The only problem I had was sometimes the screen wasn’t as responsive as perhaps my Sony, for example when you touch the screen to scroll sometimes it would select upon first touch, little things like that can make the difference between a proper premium handset and one trying to be. However, on the whole the display is better than expected for the price bracket this device sits in, you can view HD video, pictures and enjoy top-quality general usage on a great display. The Archos has support for 2G and 3G+ giving more than enough speed and connectivity to do most tasks comfortably. Archos has equipped the Archos 50 Oxygen with the fast DC-HSPA+ connectivity which lets you surf even faster than your ADSL connection. It does not have 4G capabilities but I’ve had no need to have a faster data connection during my time with the phone and the 3G does me just fine… The Archos Oxygen does receive great 2G and 3G reception therefore you shouldn’t have any problems with that, I also found the Wi-Fi reception to be of a good quality having no problems in that area. Other connectivity that Oxygen 50 has is Bluetooth, A-GPS and USB hosting. The Oxygen also has MHL support allowing you to view your content on your HDTV. The only notable connectivity feature missing is NFC which I’m sure we can live without, although to be classed against the best, it would be nice to see it included. The Archos Oxygen 50 comes fully equipped with a 13mp camera with dual LED flash and autofocus, it captures images with a resolution of 4224 x 3168. Archos market the camera as a ‘smart connected camera’, essentially the Android capabilities allow you to share photos within seconds much like most android phones. Other features on the camera are face, smile & blink detection, HDR effect, multi-shot capture and many other features. Overall the camera, for me, was OK but not as good as my Sony Xperia Z or other premium smartphones I have had my hand on. Saying that, this device does not have a premium price and for the money, the camera is excellent. It takes some real quality photos, great colours with crisp and clear edges, the camera works well close up or from a distance. The HDR feature adds richness and depth to the photo. The front facing camera is a powerful 5MP camera with flash, which is something you don’t see on many phones The battery is adequate and lasts a day quite easily, which is more than what can be said for my Sony after 12 months of usage. Clearly I can’t predict how well it will hold up over time but at the moment the 2300 mAh battery is absolutely fine. I have been using the phone fairly extensively to ensure I test it properly with regular internet usage and video playback. The device does seem to take slightly longer than average to charge, the reason for which I’m unsure, but most of us leave our phones on charge overnight. The Archos 50 Oxygen comes fully equipped with Android Jelly Bean 4.2.2, this comes as stock android with a couple of Archos features such as ‘Archos Music’ and ‘Archos Video’. These two applications work well and I selected them as the default video and music players. The Archos music application allows you to store your music in an organised fashion and play tracks, you can also connect to media servers and use shared folders. Archos video works in a similar fashion and allows you to store and view video media, this application also works well and I did not have any problems using it and found it a good way to organise videos. Overall the Android Jelly Bean 4.2.2 runs very well on the Archos and is very productive. Although we are still awaiting official confirmation of the price we estimate it to be around the sub £300 mark. Which, for the same price gets you a HTC One Mini with a less impressive spec sheet and a smaller screen, this gives you an idea of the value for money available with the Oxygen 50. One glance at the Archos’s spec sheet and you would assume a higher price to be slapped on the device, value for money is king at the moment and this is up there with the best in the category. When you consider the price bracket for this device and take into account the competition it will be up against its easy to see how this would be a great option. The camera is above average for the price point and the build quality is on par with any other top manufacture in my opinion. If I’m honest I see no reason why I wouldn’t use this as my phone, the only sacrifices made for choosing this device is that you miss out on NFC, perhaps a slightly less responsive display and maybe a few ‘gimmicky’ features that some manufacturers stick on their devices that don’t really transfer to mainstream use anyway. Other than that, the device has everything you would want from a premium handset, a quality camera, a great looking display, solid build quality and great ergonomics. It appears that Archos have really done their homework and done the basics well to produce something that will no doubt turn a few heads and ask questions of the ‘big boys’. 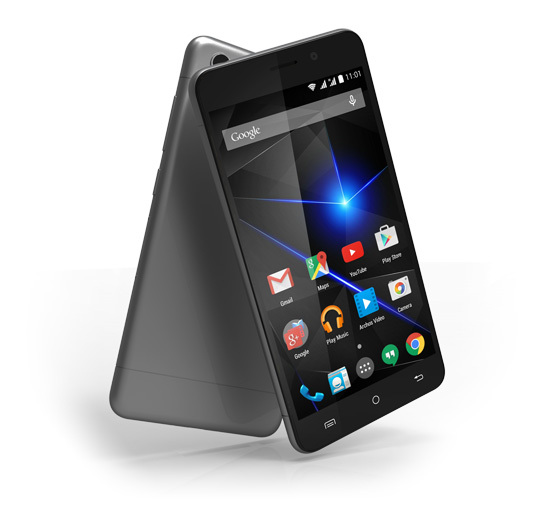 The Archos Oxygen 50 was a surprise for me as I wasn’t expecting much. Sure, its easier to be impressed if you’re not expecting much from the word GO, however, when I compare the device to the one I own, the one that’s sitting on my desk with no sim (Xperia Z) I am in no rush to be reunited with the Sony.